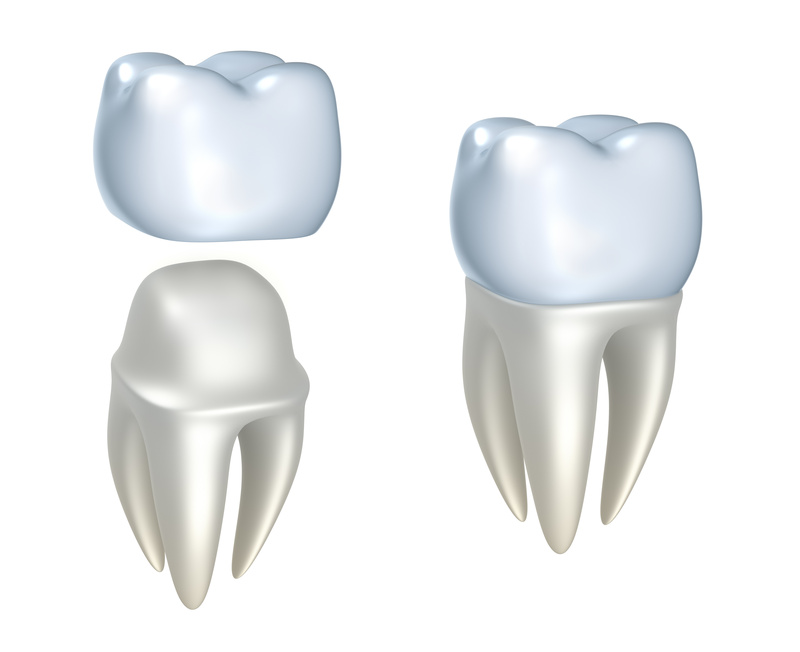 A dental crown is a tooth-shaped "cap" that is placed over a tooth. Crowns restore a tooth’s shape and size, strength, and/or improve its appearance. Crowns encase the entire visible portion of a tooth – from top of tooth to the gum line. Today, many dentists are able to make in office, same-day crowns. 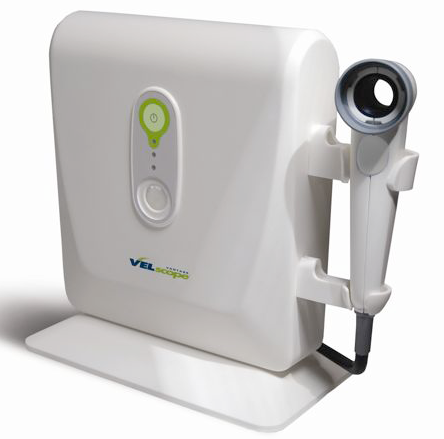 An impression (mold) is taken of the tooth needing the crown and wirelessly sent to machine located in the office. Ten to 15 minutes later the crown is ready to be cemented in place. Another advantage of this approach is that the digital impression can be sent to a lab for them to manufacture. Labs are also offering "pressable" ceramic crowns. These crowns have a hard inner core, which replaces the metal substructure, and uses porcelain material to cap the tooth. Porcelain is a material that best matches the color of the surrounding teeth. This approach for crowning teeth is becoming more common. The pressable ceramic crown is much more durable than the porcelain jacket crown. If my dentist is unable to make an in-office, same-day crown, what steps are taken to prepare a tooth for a crown? 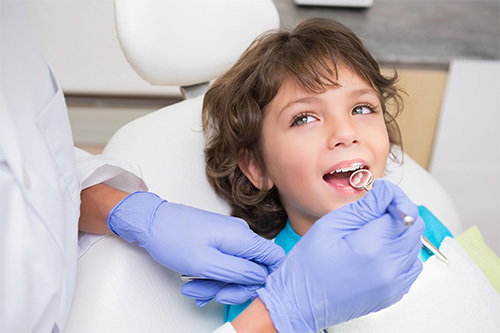 The more traditional method to prepare a tooth for a crown usually required two dentist visits. At the first visit:The tooth is examined and prepared. 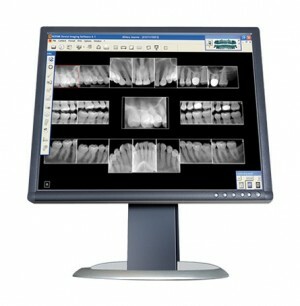 X-rays may be taken to check the roots of the tooth receiving the crown and the surrounding bone. 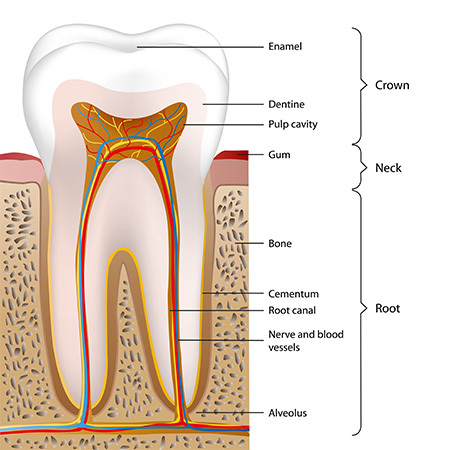 If the tooth has extensive decay or if there is a risk of infection or injury to the tooth’s pulp (the center ‘core’ of the tooth, which contains blood vessels and nerves), a root canal may be performed first.Next, your dentist will anesthetize (numb) your tooth and the gum tissue around the tooth. 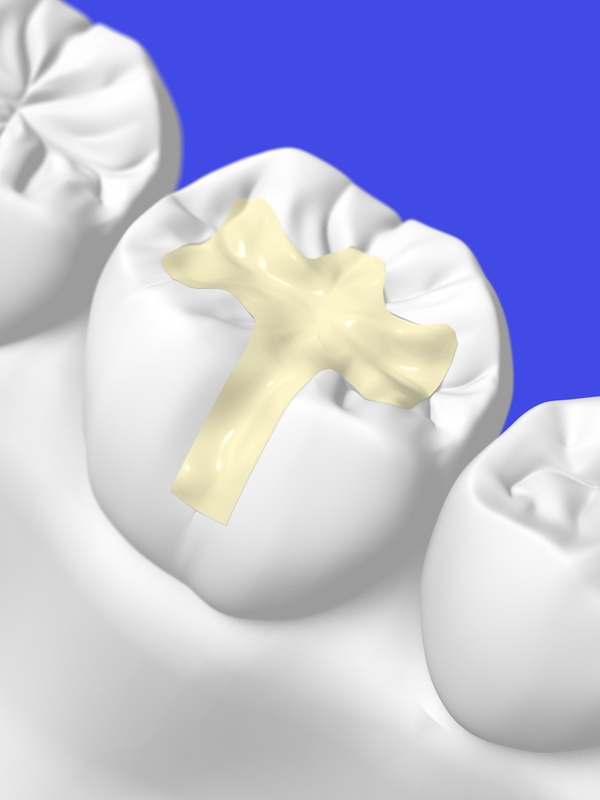 The tooth receiving the crown is filed down along the chewing surface and sides to make room for the crown. The amount removed depends on the type of crown used. For instance, all-metal crowns are thinner, requiring less tooth structure removal than all-porcelain or porcelain-fused-to-metal ones). If, on the other hand, a large area of the tooth is missing (due to decay or damage), filling material is used to "build up" the tooth to support the crown.After reshaping the tooth, an impression of the tooth to receive the crown is made. Impressions of the teeth above and below the tooth to receive the dental crown will also be made. This is done to make sure that the crown will not affect your bite.The impressions are sent to a dental laboratory where the crown is actually made. The crown is usually returned to your dentist’s office in 2 to 3 weeks. If your crown is made of porcelain, your dentist will also select the shade that most closely matches the color of the neighboring teeth. Your dentist will make a temporary crown to cover and protect the prepared tooth while the crown is being made. Temporary crowns are usually made of acrylic and are held in place using temporary cement. At your second visit, your dentist will remove your temporary crown and check the fit and color of the permanent crown. 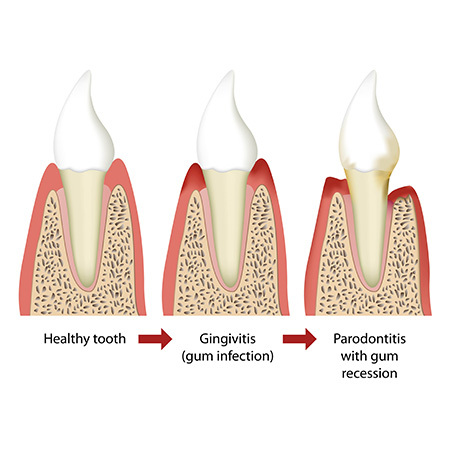 If everything is acceptable, a local anesthetic may be given to numb the tooth and the new crown is permanently cemented in place.How should I care for my temporary dental crown?Because temporary dental crowns are just that – a temporary fix until a permanent crown is ready, most dentists would recommend:Avoid sticky, chewy foods (for example, chewing gum, caramel), which have the potential of grabbing and pulling off the crown. Minimize use of the side of your mouth with the temporary crown. Shift the bulk of your chewing to the other side of your mouth. Avoid chewing hard foods (such as raw vegetables), which could dislodge or break the crown. Slide flossing material out-rather than lifting out-when cleaning your teeth. Lifting the floss out, as you normally would, might pull off the temporary crown. Discomfort or sensitivity. Your newly crowned tooth may be sensitive immediately after the procedure as the anesthesia begins to wear off. If the tooth that has been crowned and still has a nerve in it, you may experience some heat and cold sensitivity. Your dentist may recommend that you brush your teeth with toothpaste designed for sensitive teeth. Pain or sensitivity that occurs when you bite down usually means that the crown is too high on the tooth. If this is the case, call your dentist. He or she can easily fix this problem. Loose crown. Sometimes the cement washes out from under the crown. Not only does this allow the crown to become loose, it allows bacteria to leak in and cause decay to the tooth that remains. If your crown feels loose, contact your dentist's office. Crown falls off. Sometimes crowns fall off. Usually this is due to an improper fit or a lack of cement. If this happens, contact your dentist's office immediately. He or she will give you specific instructions on how to care for your tooth and crown until you can be seen for an evaluation. 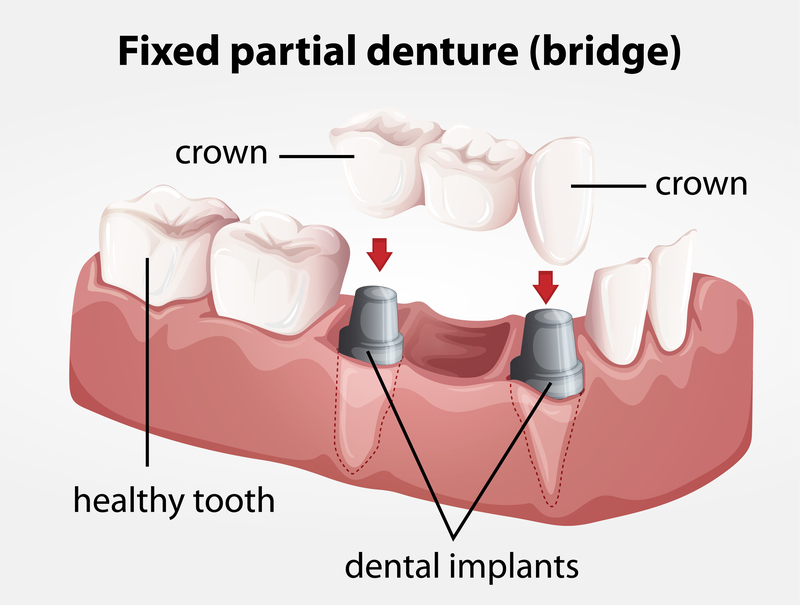 Your dentist may be able to re-cement your crown in place; if not, a new crown will need to be made.